This is truly a kiasu attitude by PR. Malaysia is the country with highest number of public holidays in Asia. Such nonsense holiday for a by-election is totally disgusting for the private sector. GEORGE TOWN: May 7 is a public holiday for Penang. 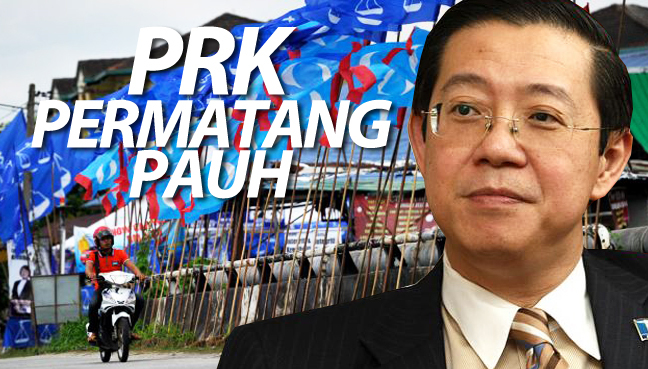 Chief Minister Lim Guan Eng said it was to ensure smooth voting for the Permatang Pauh by-election. He said the move would allow voters, especially those living out of town, to cast their votes. In Bukit Mertajam, police said they were investigating three rallies held without permit. Spokesman Asst Comm Azmi Adam said several people had been picked up to give statements in the probe under the Election Offences Act 1954. He said the three ceramah were organised by PKR on nomination day on Saturday. “We have received 15 police reports since nomination day and have opened three investigation papers. “We advise political parties to come to us for permits during the campaigning period before holding a ceramah. “Please cooperate with us and the Election Commission (EC),” he told reporters during a press conference at the Central Seberang Prai police headquarters in Bandar Perda yesterday. ACP Azmi also advised party supporters not to disrupt other parties’ ceramah or damage their posters. “Speakers should also refrain from touching on sensitive issues, be it racial or religious,” he said. ACP Azmi, who is the Penang Commercial Crime Department chief, also confirmed the report lodged by Independent candidate Salleh Isahak, who claimed that three men had accused him of being a PKR committee member. “But we did not launch any investigation as there was insufficient evidence to support his claim,” he said.